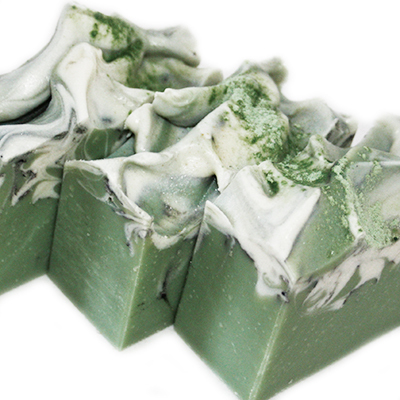 Scented with crisp Eucalyptus and rejuvenating Lemon Myrtle essential oil, infused with Green Tea, this is a delightfully uplifting soap, popular with men and women alike. Ingredients: Saponified coconut oil, rice bran oil, olive oil (australian) and certified organic shea butter, eucalyptus and lemon myrtle essential oils, colour. 125-135g.